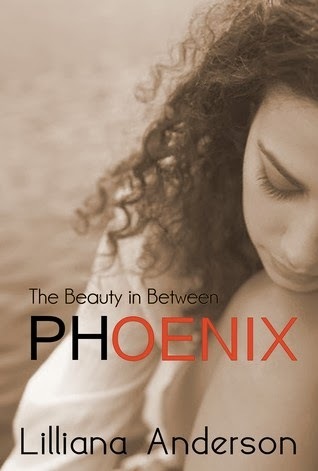 Please note - Phoenix is part of the Beauty in Between series. It is the companion book to A Beautiful Forever. While it can be read on its own, it would be better to read it after you have already read Forever. After being unceremoniously kicked out of home at a young age, Paige is forced to fend for herself. In a bid to survive, she does things that most people would never dream of, and stops caring about herself as a result. I'll admit, this book was a lot to take in. I met Paige in A Beautiful Forever and I learned to love her as much as I love Elliot. There we find out that she had a very screwed up life in Australia and wanted to get away from all that by moving to UK. She bares it all but somehow there's far too much about her that we all have yet to see. And that's where Phoenix comes in - a detailed look at Paige's very sad and challenging life. I knew reading Phoenix would be hard. Paige had a very painful life from the moment she got kicked out of her own home (or even before that) and I just felt for her every step of the way. I had to constantly remind myself that Paige will eventually meet Elliot and that he'll help her heal and be happy. She deserves that much after going through so much crap. I almost feel wrong for liking this story so much because of all the impossibly horrible things happening to Paige but I guess that's just how good the writing is. The story flowed easily and it kept me reading despite knowing things would only get worse by the next chapter. It was gripping, for sure! Even though a lot of the things that happened to Paige were brought about by her wrong decisions, I couldn't fault her. Being abandoned at the age of 15 meant that she had no responsible adult to guide her, to care for her. She only had herself to rely on. It was painful seeing how she easily gave in to drugs and the lifestyle that came with it. She was forced to grow up, in a span of a year, by people who took advantage of her vulnerability and naivety. Her brokenness left her doing shady things in order to survive. It sucked seeing her throw her life away because she's never felt wanted, not even by her family. It was all around heartache but I didn't quit reading it because I wanted to know she'd be okay. I knew she'd meet Elliot and that they'd live happily ever after but somehow I still wanted to see her get better. That's how attached I became to Paige. I never expected to feel as attached to Paige as I did with Elliot, Katrina and David but I did! Anderson has proven once again her ability to write stories with believable characters that feel more and more alive with every page. I truly loved seeing Paige evolve in this story. It's not exactly a happy story and I've emphasized that a lot earlier but there's this beauty to it; this promise that life will get better for Paige. She'll definitely get past all of this and you wouldn't want to miss that in A Beautiful Forever. But I swear, reading Phoenix will make introduce you to the real Paige, and it'll make reading her and Elliot's story even more special.